Most of us can only dream of having the perfect personal assistant, one who is always there when needed, anticipating our every request and unobtrusively organizing our lives. Cortana, the new digital personal assistant powered by Bing that comes with Windows Phone 8.1, brings users closer to that dream. For Larry Heck, a distinguished engineer in Microsoft Research, this first release offers a taste of what he has in mind. 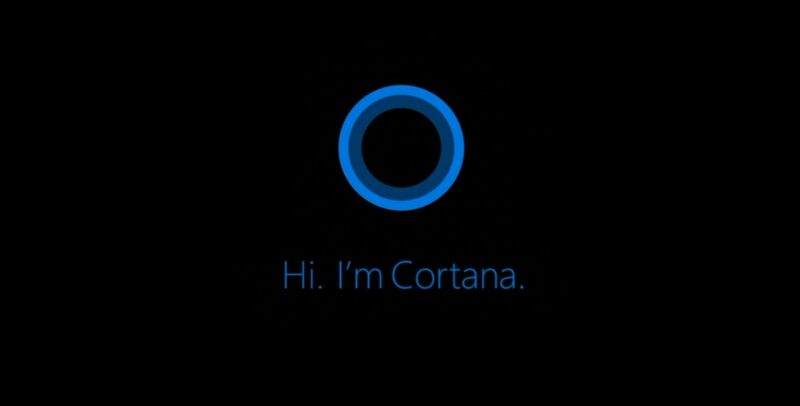 Over time, Heck wants Cortana to interact in an increasingly anticipatory, natural manner. Cortana already offers some of this behavior. Rather than just performing voice-activated commands, Cortana continually learns about its user and becomes increasingly personalized, with the goal of proactively carrying out the right tasks at the right time. If its user asks about outside temperatures every afternoon before leaving the office, Cortana will learn to offer that information without being asked. Furthermore, if given permission to access phone data, Cortana can read calendars, contacts, and email to improve its knowledge of context and connections. Heck, who plays classical trumpet in a local orchestra, might receive a calendar update about a change in rehearsal time. Cortana would let him know about the change and alert him if the new time conflicts with another appointment. While many people would categorize such logical associations and humanlike behaviors under the term ”artificial intelligence” (AI), Heck points to the diversity of research areas that have contributed to Cortana’s underlying technologies. He views Cortana as a specific expression of Microsoft Research’s work on different areas of personal-assistant technology. Cortana’s design philosophy is therefore entrenched in state-of-the-art machine-learning and data-mining algorithms. Furthermore both developers and researchers are able to use Microsoft’s broad assets across commercial and enterprise products, including strong ties to Bing web search and Microsoft speech algorithms and data. If Heck has set the bar high for Cortana’s future, it’s because of the deep, varied expertise within Microsoft Research. In 2009, Heck started what was then called the conversational-understanding (CU) personal-assistant effort at Microsoft. Researchers who worked on the Cortana product (from left): top row, Malcolm Slaney, Lisa Stifelman, and Larry Heck; bottom row, Gokhan Tur, Dilek Hakkani-Tür, and Andreas Stolcke. Heck and Serafin established the vision, mission, and long-range plan for Microsoft’s digital-personal-assistant technology, based on scaling conversations to the breadth of the web, and they built a team with the expertise to create the initial prototypes for Cortana. As the effort got off the ground, Heck’s team hired and trained several Ph.D.-level engineers for the product team to develop the work. After the team was in place, Heck and his colleagues joined Microsoft Research to continue to think long-term, working on next-generation personal-assistant technology. Some of the key researchers in these early efforts included Microsoft Research senior researchers Dilek Hakkani-Tür and Gokhan Tur, and principal researcher Andreas Stolcke. Other early members of Heck’s team included principal research software developer Madhu Chinthakunta, and principal user-experience designer Lisa Stifelman. “We started out working on the low-level, foundational technology,” Heck recalls. “Then, near the end of the project, our team was doing high-level, all-encompassing usability studies that provided guidance to the product group. It was kind of like climbing up to the crow’s nest of a ship to look over the entire experience. Heck has been integral to Cortana since its inception, but even before coming to Microsoft in 2009, he already had contributed to early research on CU personal assistants. While at SRI International in the 1990s, his tenure included some of the earliest work on deep-learning and deep-neural-network technology. Heck was also part of an SRI team whose efforts laid the groundwork for the CALO AI project funded by the U.S. government’s Defense Advanced Research Projects Agency. The project aimed to build a new generation of cognitive assistants that could learn from experience and reason intelligently under ambiguous circumstances. Later roles at Nuance Communications and Yahoo! added expertise in research areas vital to contributing to making Cortana robust. The notebook menu for Cortana. Not surprisingly, Heck’s perspectives extend to a distant horizon. He sees personal-assistant technology traveling along a similar trajectory. Current implementations target the most common functions, such as reminders and calendars, but as technology matures, the personal assistant has to extend to other domains so that users can get any information and conduct any transaction anytime and anywhere.